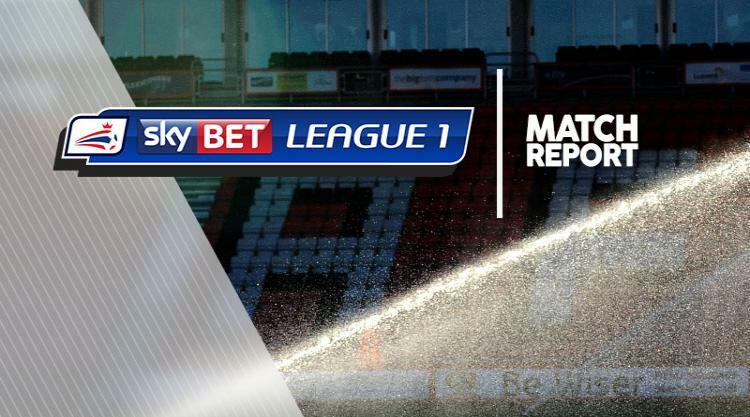 Chesterfield came out on top in their Sky Bet League One relegation battle with Coventry after a Dan Gardner goal gave them a 1-0 win at the Proact Stadium. Gardner settled a poor contest in the 77th minute but Chesterfield had to survive 11 minutes of added time following an injury to their centre-back Tom Anderson. Both teams got into some decent positions but the final ball was poor until Chesterfield midfielder Jay O'Shea sent in a free-kick in the 30th minute that Ian Evatt headed just over the bar. Ched Evans fired over three minutes later from a corner but Coventry went close in the 39th minute when a low shot from Kevin Foley was flicked just wide by Stuart Beavon. Sam Hird headed another O'Shea free-kick straight at Lee Burge in the 42nd minute and Marcus Tudgay had the ball in the Chesterfield net in the 56th minute but had strayed offside. There was a lengthy delay while Chesterfield defender Anderson was treated for a head injury before being stretchered off and Coventry had a great chance in the 72nd minute when George Thomas fired wide after a swift counter-attack. It was a costly miss as Gardner fired Chesterfield ahead five minutes later with a shot from 25 yards that flew into Burge's top left corner but Thomas missed another chance when he fired over at the back post in stoppage time.